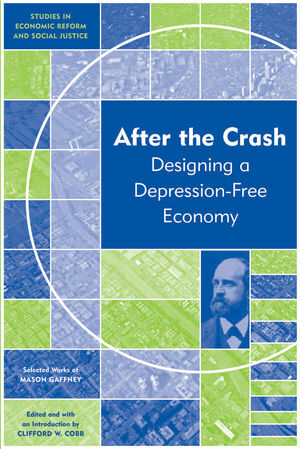 This book analyzes in a new way the causes of the current crash by showing how such events derive from real estate bubbles and their interactions with banks and other lenders. Mason Gaffney has been a professor of economics at the University of California, Riverside for the past 33 years. He is the author of The Corruption of Economics, an explanation of how land became excluded from neoclassical economic models. He has also written extensively on various aspects of resource economics, urban economics, tax policy, and capital theory. Frontispiece Portrait of Mason Gaffney. Editor's Introduction (Clifford W. Cobb). 1. The Role of Land Markets in Economic Crises (Mason Gaffney). 2. A New Framework for Macroeconomics: Achieving Full Employment by Increasing Capital Turnover (Mason Gaffney). 3. Money, Credit, and Crisis (Mason Gaffney ).